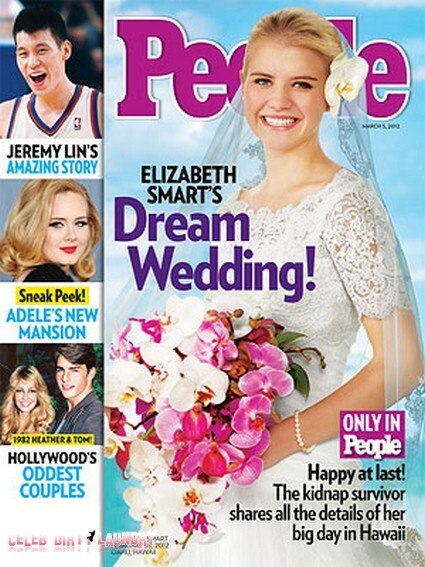 The current issue of People Magazine features the cover story ‘Elizabeth Smart’s Dream Wedding.’ Elizabeth Smart, 24, married her boyfriend of one year Matthew Gilmour, 22, in a private ceremony on February 18th, 2012. The magazine has all the details of how Elizabeth is happy at last. Elizabeth has shared all the details of her big wedding day in Oahu, Hawaii. Elizabeth was abducted on June 5th, 2002 from her Salt Lake City, Utah home and was found 9 months later in the home of Brian David Mitchell and Wanda Ileen Barzee. Mitchell is serving a life sentence for Smart’s abduction while Barzee was sentenced to 15 years. People has exclusive photographs of the radiant bride and happy groom, their wedding party and evening luau – as well as exclusive details of how they met and how he proposed, the wedding day preparations and the reasons Smart chose the breathtaking shores of Oahu for her celebration. “They are clearly besotted with each other, and it’s a wonderful thing to see,” the groom’s mother, Kay Gilmour. 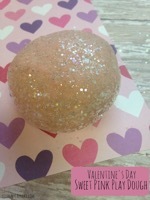 We wish Elizabeth and Matthew much happiness! For more details on the happy story of Elizabeth’s wedding, pick up the current issue of People Magazine on stands Friday.